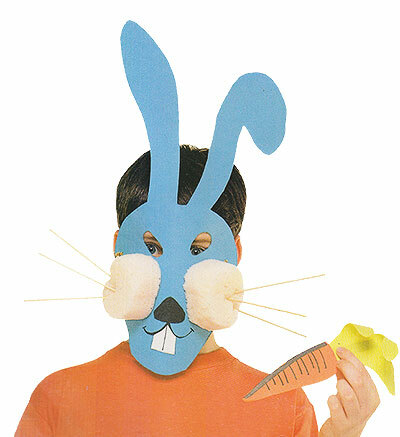 Wear a bunny mask for the Easter week. Even better, you can create a number of masks in different colors, and then share them with your friends for the Easter get together. It would be fun to see different colored bunnies running around. 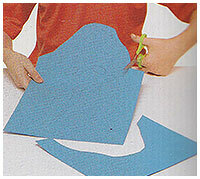 You can also make some paper carrots to go with eh mask. So, happy Easter crafting! Colored card or think chart paper, to make the mask some small pieces of black paper and white paper, for making bunny nose and teeth. 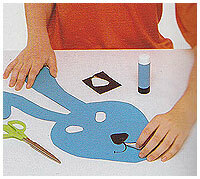 1> Draw and cut out a bunny face, with ears, measuring about 30 cm width and about 60 cm long, from the colored card or chart paper. Take help of an adult. 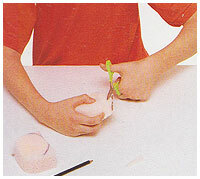 2> Draw a large circle on the sponges, and cut them out to make bunny cheeks. 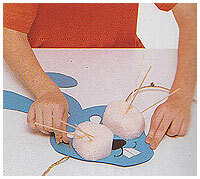 Alternatively, shape the cotton for cheeks. 3> Time to draw the mouth now. Use the felt tip pen. Also cut out a nose and a pair of teeth from the white paper. 4> stick the cotton or sponge on the cheeks of the mask. 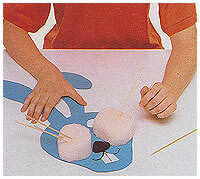 Stick in the skewers to the straws for the whiskers. Make sure that the whiskers stays on place. Make them small if required. Finally, feel free to decorate your mask, using colors and your imagination. You can also write the name of your gang, for example. 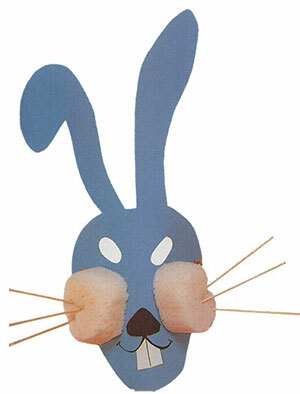 Your Bunny Mask is ready!